Every red carpet during the movie Award Season has a kind of unofficial tone to the formal dress code. Obviously, the Oscars are the most formal. The Golden Globes are a bit less so. And then there is the SAG Awards. It is the occasion where the actors and actresses of the Screen Actors Guild vote on and receive the awards. It’s formal to be sure, but the red carpet is just a bit more creative and looser than the other events on the calendar. Perhaps it’s because, there are not those big end of night prizes for an entire production—just the casts—making it a less pressurized situation. I mean Ryan Seacrest doesn’t even show up to the E! Live from the Red Carpet broadcast which, by the way, is fine with me because he never asks about the jewelry, but I digress. Whatever the reason for it, the often overlooked SAG Awards have historically proven to be the place where some of the most creative fine jewelry of the movie award season makes an appearance. See the proof below. Follow me on Twitter @theadventurine Sunday night and join in the jewelry conversation live starting at 6pm ET. At the 2015 SAG Awards, Emma Stone put on a diamond Repossi ear cuff. Stone was far from the first to wear the Repossi cool girl style on the red carpet. People did it before and they have done it since, but arguably nobody has done it better. The edgy earring was beautifully shown off with her hair swept back and in perfect sync with her Dior long tuxedo jacket and sheer dress. Viola Davis looked amazingly chic and modern at the 2015 SAG Awards, when she won the Best Actress award for her role in How To Get Away With Murder wearing an amazing OpArt Lapis gold and sapphire bracelet and Oiseau de Feu earrings by Van Cleef & Arpels. An array of gems were set in the earrings including diamonds, spessartite garnets, fire opal, red coarl, pearls, blue and yellow sapphires set in white gold. The colorful gems in the jewels popped against, Davis’ white halter Max Mara dress. Ground zero for the ear cuff on the red carpet trend is the 2014 SAG Awards when Jennifer Lawrence put on a diamond ear cuff from Anita Ko with her colorful pendant earrings by Jennifer Meyer. It was the first time I saw the look on the red carpet and it made me jump out of my seat. Lawerence’s short hair showed off the sparkle. The classic silhouette of the pendant earrings added sugar to the spice. She gets style extra credit points for the way the gems gently matched the sparkles in her Dior dress. 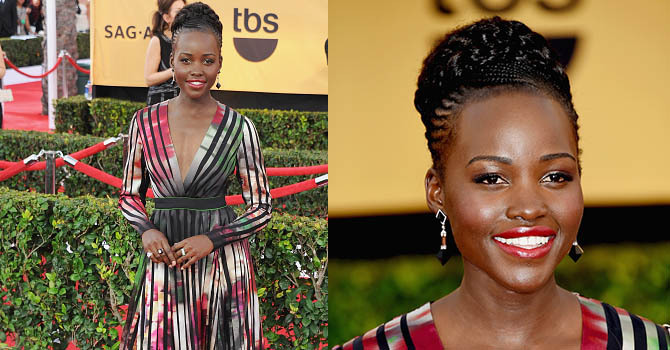 Style star Lupita Nyong’o raised her already high bar at the 2015 SAG Awards in a floral print Ellie Saab dress with black vertical stripes, long sleeves and a plunging necklace. The graphic quality in the dress was echoed in the geometric black jade motifs in her Fred Leighton pendant earrings that were also set with rock crystal and diamonds. The earrings may not have been the biggest jewels on the red carpet but they were as wildly imaginative as the gown. Brie Larson redefined the goddess gown at the 2016 SAG Awards in her cutout Versace number. It hugged all the right curves and had cutouts strategically placed. 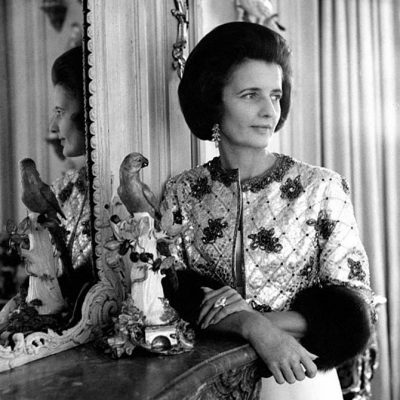 Her Tiffany jewelry also pushed the envelope on bringing classic diamonds into the twenty-first century. The silhouette of her diamond and platinum pendant earrings were a graphic and slender line. Her bracelets included one square and round diamond bracelet that looked like a stack of tennis bracelets but was in fact one slinky jewel. The other bracelet on her arm had three rows of emerald-cut diamonds. 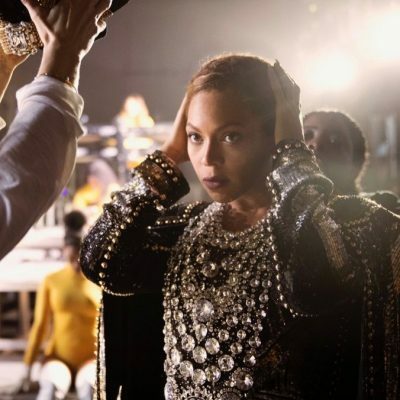 All the diamonds added up to over $2-million. In 2012 when Octavia Spencer picked up every award for her performance in The Help, she stuck with fashion designer Tadashi Shoji every step of the way and won praise from the fashion critics. She also wore quite a bit of one of her favorite jewelry designers, Irene Neuwirth. 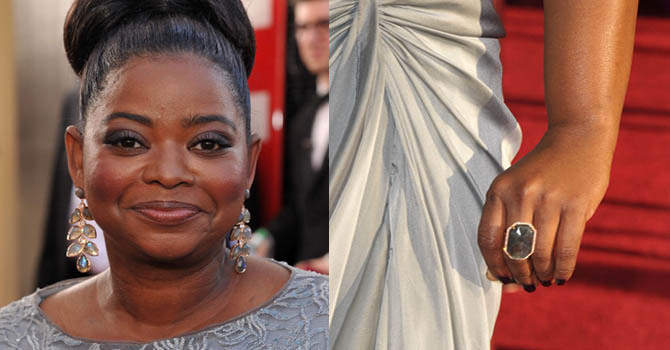 At the SAG Awards the chic actress, matched up the color of her gown with labradorite and gold leaf motif earrings and a matching ring creating an impactful and unique look. 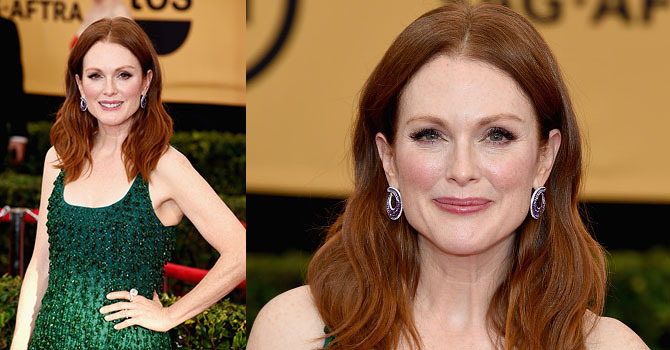 Julianne Moore makes it look so easy, breezy when she pulls off exceptional jewelry and high fashion combinations. At the 2015 SAG Awards she tossed on a spangly Givenchy tank number and color contrasted it with a pair of amethyst hoops by Chopard. On her index finger was a diamond ring that swirled up like a little sculpture. The 2017 SAG Awards air on Sunday, January 29 at 8pm ET on TBS.